Say hello to the team! These guys are the real reason why we're the best. Just don't tell them. Between them they'll have easily travelled over half a million miles on Loch Ness - our back garden. They know every inch of the loch and like nothing more than telling you everything about it, in great and minute detail. As you read this, Ricky or Marcus will probably be chewing someone's ear off. "Let me tell you about the time I saw Nessie." One day that lucky person could be you. We're incredibly proud of our history and have called Fort Augustus home for generations. 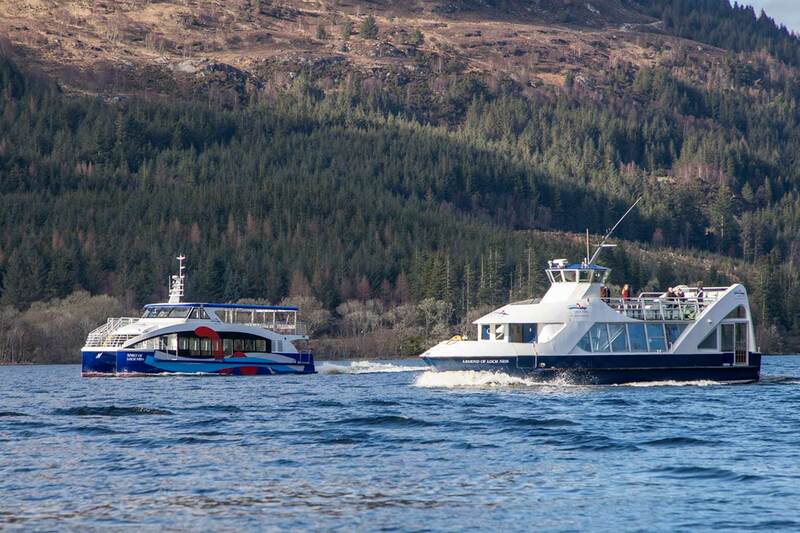 Since 1968 we've been running boat trips from the southern bank of Loch Ness and have had the fortune and pleasure of carrying over 1.5 million (and counting) passengers in that time. The crew have zipped our RIBs more than 7x the distance around the world on these waters. "What?!" you say. "It's true!" we say. They've welcomed celebrities, the Olympic torch, Nessie hunters and have made it on stage at Rockness the music festival. They are what one crew member fondly describes as "mental but very polite." We're not a business, we're a family and we really do have the best job and office in the world. 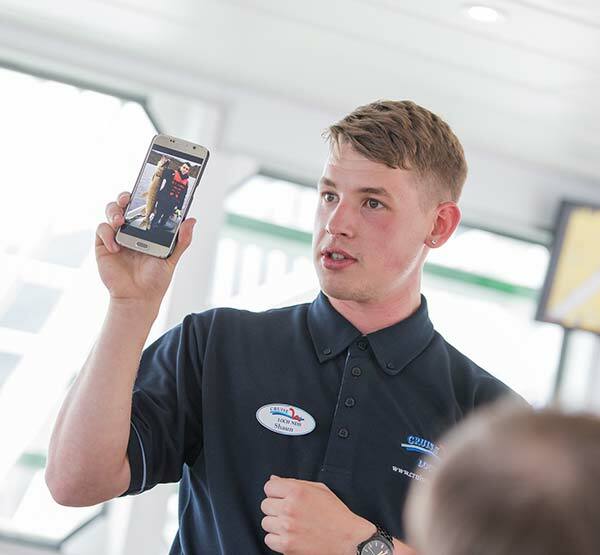 We can't wait to welcome you on board one of our vessels. 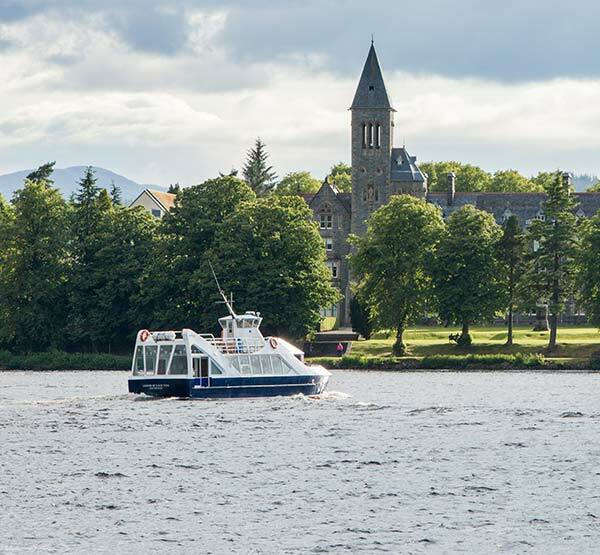 Situated at the south west end of Loch Ness, Fort Augustus is where you will find Cruise Loch Ness. A bustling and welcoming little village, full of walkers and cyclists making the most of the surrounding paths and trails, including the Great Glen Way. 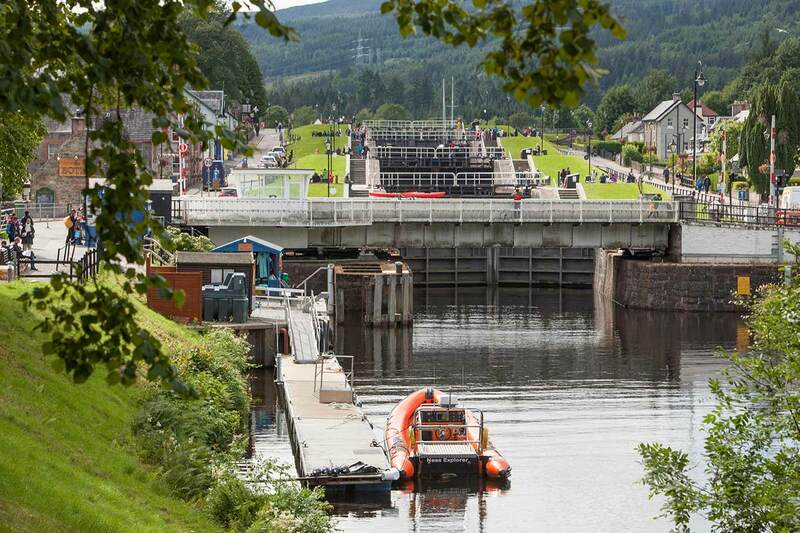 Running through the heart of the village is the 60 mile long Caledonian Canal, which runs from Inverness to Fort William. It's no surprise that it's considered as one of the greatest waterways in the world. 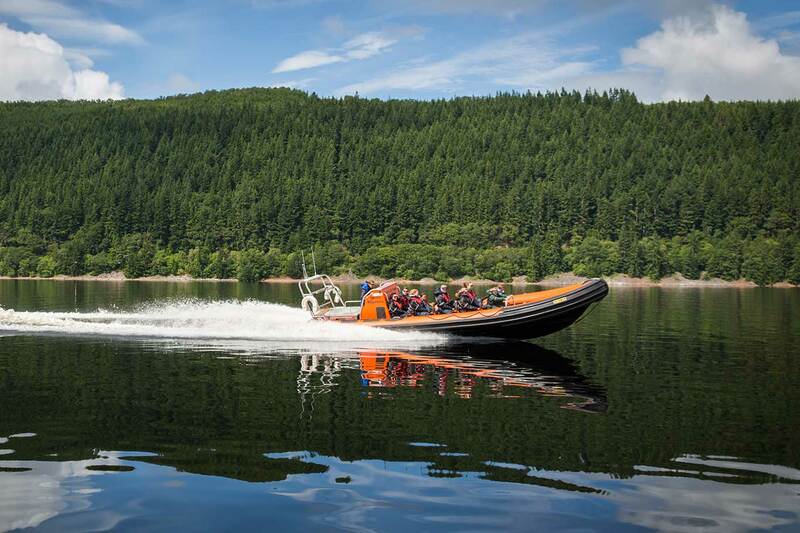 Urquhart Castle is less than 20 miles drive from Fort Augustus, but why drive when you can take one of our high speed RIB trips? The historic Fort Augustus Abbey, originally opened in 1880, is a former Benedictine monastery and it still stands proudly, offering spectacular views from the loch as you come back into Fort Augustus. We'd recommend you make the most of your experience with Loch Ness Cruises and spend a night or two in our lovely village. Just let us know if you need any information on where to stay or get a tasty dram or two. 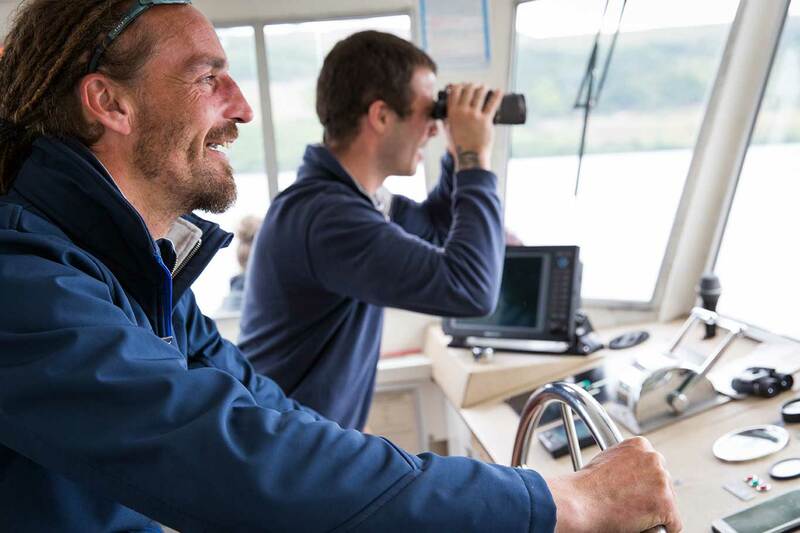 Since our first boat, the Clan Mackenzie, back in 1961, we've always strived to offer the best boats on Loch Ness to make your trip as special as it can be. Our family has grown a lot since then. We're proud of all our boats, but we're especially excited to introduce Spirit of Loch Ness - she's the perfect boat for the perfect loch. Say hello to the fleet! My oh my, what a beautiful boat she is. 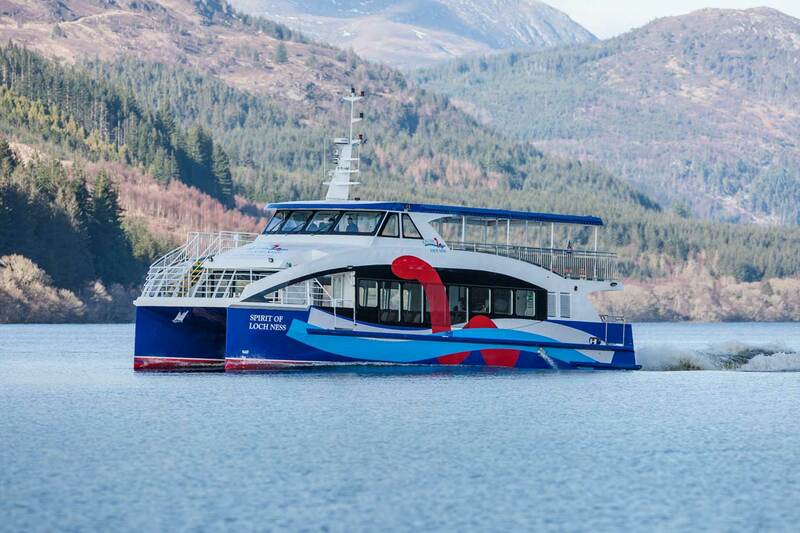 We're so unbelievably excited and happy to have the Spirit of Loch Ness in our fleet. This boat takes Cruise Loch Ness to a whole new level and you must come and experience a cruise on the Spirit of Loch Ness. Her sleek, cutting edge design and powerful, low emission engines allow her to comfortably carry up to 210 passengers at a top speed of 20knots. That means you get to see more of the loch, and in absolute comfort and style. The upper deck is covered so bring on the Scottish weather! The state of the art on-board sonar system, with 14 sonar monitors situated around the boat, will blow your mind. The loch is deep, and this sonar system will share all her secrets. Yes, it was love at first sight. She is by far the best boat on the entire loch. 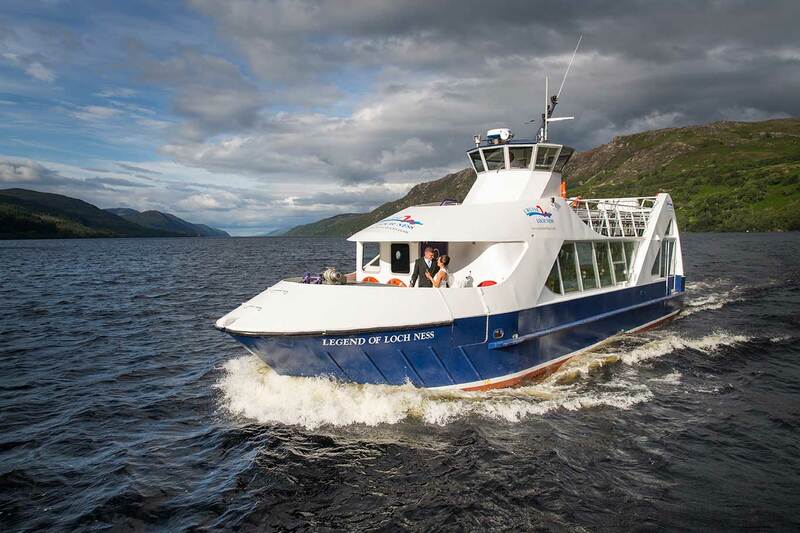 Come and enjoy a cruise on the Spirit of Loch Ness. PS. There's also has a fully stocked bar. Our girl, our legend. Born in 2000, at Mustang Marine in South Wales, she was known as the Bat Boat by the shipyard builders. 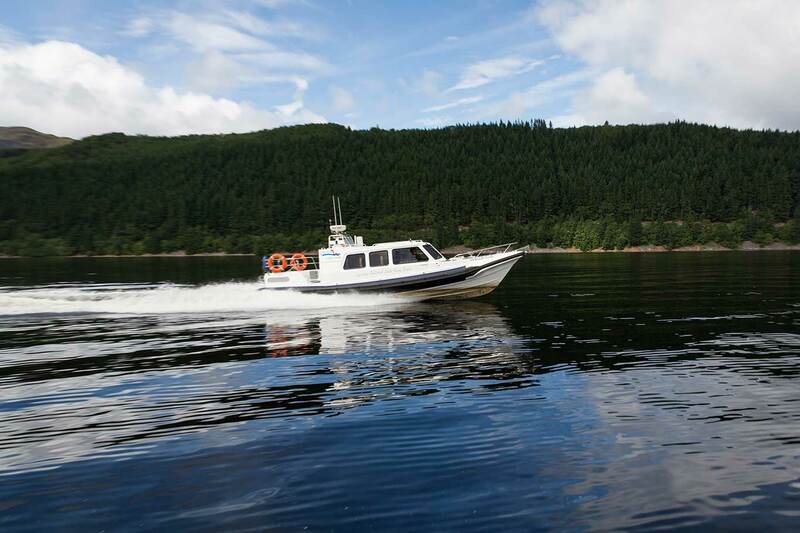 We're didn't think that name worked for what we do but she's certainly sleek and still gets more than a few admiring glances when cruising on Loch Ness - with those ultra-modern, smouldering looks. She's an absolute cracker and that is why she has become the number one floating venue on Loch Ness! The only thing that could potentially challenge her beauty for superiority is her Sonar equipment which makes all other cruise providers on the loch weep with envy. These custom built power boats will have you on the edge of your seat, screaming at the top of your lungs. We could tell you everything about them but all you need to know is they can go fast, really fast. They also love welcoming families on board and can chase Nessie down at a canter. Oh and they're safe. Really fast but really safe and our crew are all MCA/RCA qualified so you're in good hands. She's got it all. Speed and luxury. Our Cabin RIB is a gem. She's as fast, if not faster, than Ness Express & Ness Explorer but let's not tell them and break their hearts. She's spacious, she has shelter, her seats are made of leather and even has a toilet. She's made for VIPs like you. Above all else, safety is our highest priority and if you have any questions at all about our fleet or our crew, please get in touch.